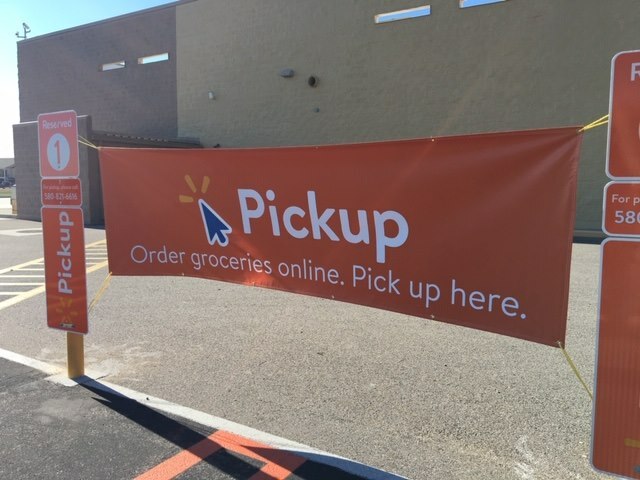 The Chamber held a Ribbon Cutting at the Elk City Walmart on Tuesday to introduce their new Grocery Pickup Service. You download the app, order your groceries online, reserve a pickup time, you then drive up and park and they load your groceries for free! They are very excited to offer this service to their customers. Cutting the ribbon below is Kyle Williams, Walmart Manager, Rebecca Barry, Co-Manager and Chris Aguilar, Assistant Manager and Manager of the Grocery Pickup Area, and also Chamber Ambassadors, Teresa Kilhoffer, Carrie Perry, Susie Cupp and Brian Beatty.